Home » TH VINASUN opened the agency in Ho Chi Minh City. HCM. 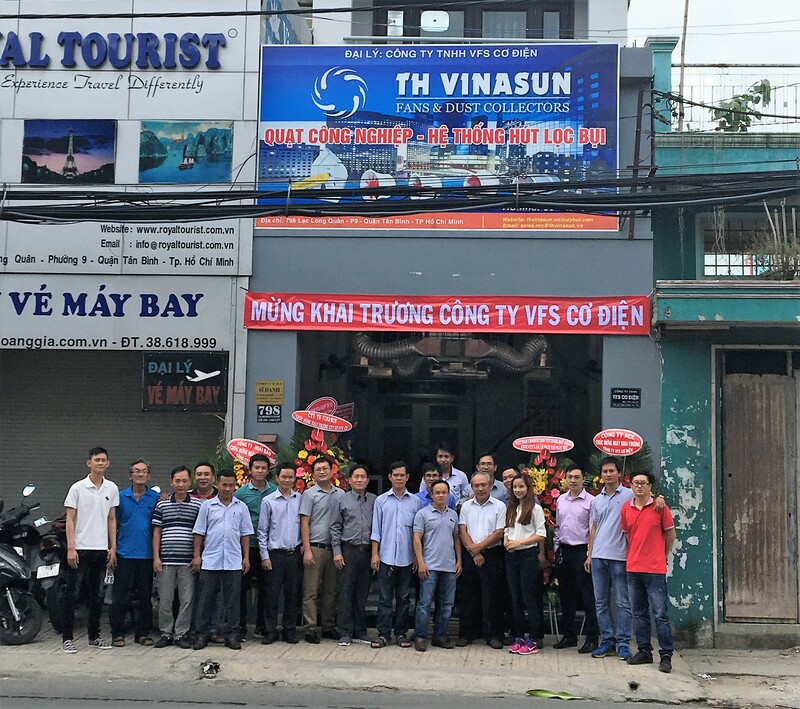 On June 18, 2017, TH Vinasun and VFS Mechanical and Electrical Co., Ltd. officially opened the Southern authorized dealer Vinasun, located at 798 Lac Long Quan, Ward 9, Tan Binh District, Ho Chi Minh City. HCM. With over 10 years of experience in manufacturing industrial fans, fans for buildings and industrial dust extraction systems, TH Vinasun has increasingly affirmed its position in the market, besides, Vinasun TH has been leading in the work of improving quality, satisfying customers, and developing a new agency system nationwide. With the opening of more agents in the South, we hope to better meet the needs of customers as well as ensure the best after-sales service for customers in the region. Along with the support from TH Vinasun, VFS Electrical Engineering now has completed all facilities, equipment, and personnel to go into operation from the beginning of June 2017. TH Vinasun’s new agent is located at 798 Lac Long Quan, the leading street of Ho Chi Minh City with hundreds of suppliers in the industrial sector. TH Vinasun would like to thank the guests and customers of the company for their trust and support throughout the development of the company.